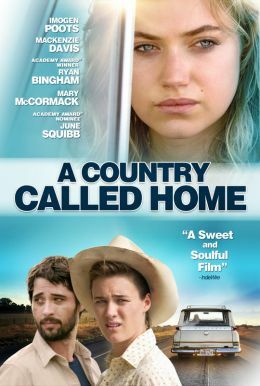 A COUNTRY CALLED HOME tells the story of Ellie (Imogen Poots), a young woman living in Los Angeles who learns that her estranged, alcoholic father has died. Having had no contact with him since childhood, she’s reluctant to make the effort to attend his funeral, but something draws her to the dusty corner of Texas where he spent the last years of his life. At first dismayed by the small-town vibe, she’s soon intrigued by the people she meets, among them a distraught stepmother, her apprehensive son, a gutsy young musician, and a set of doting grandparents she’s never met. As she finds glimpses of the father she once knew, she also discovers a new attitude towards friendship, loyalty, and family.